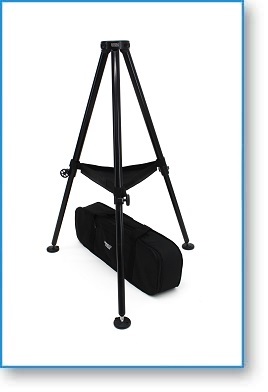 The Jib Tripod will safely support loads of up to 300 pounds (136 kg). 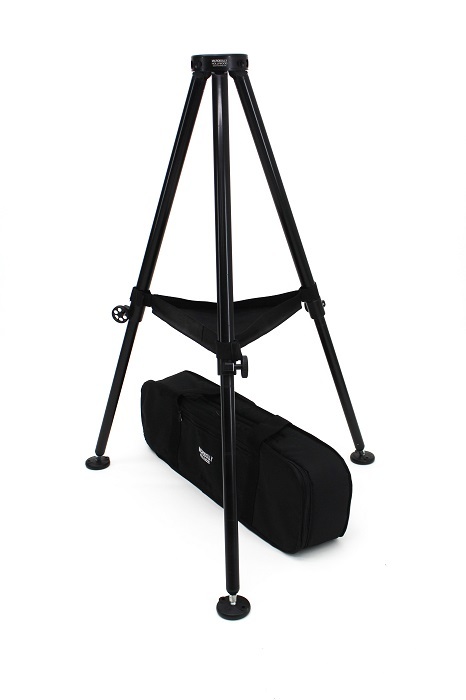 Manufactured from a special structural grade aircraft aluminum alloy, this amazing new Tripod weighs only 7 pounds (3.17 kg) and folds to just 33 inches. 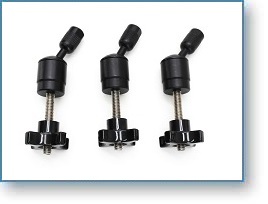 Will accept 75mm, 100mm and 150mm cups for mounting of ball leveled heads. Designed especially for the MICRODOLLY Jib, the Tripod can adjust from a minimum height of 30 inches to a maximum height of 48 inches. It comes with a built-in spreader and has large heavy-duty rubber foot pads that detach in seconds to reveal spikes. 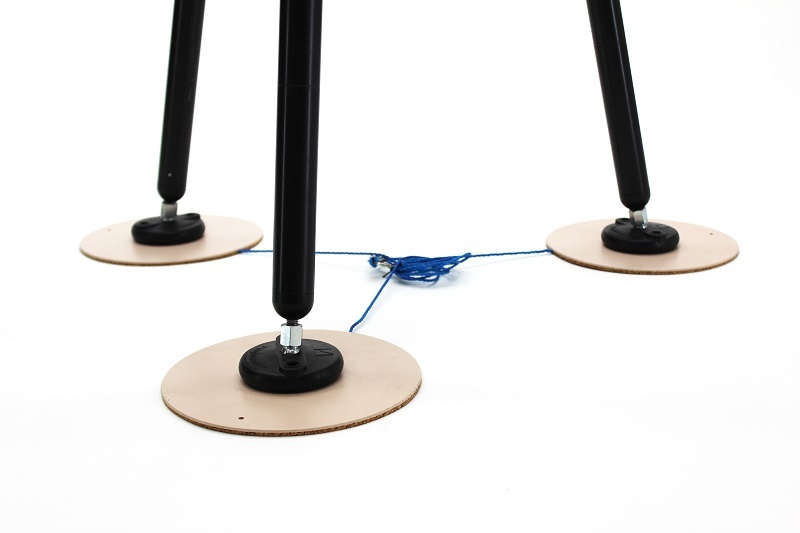 A tie-down ring is provided to safely anchor the Tripod to the mounting surface. A heavily padded, water resistant Cordova soft case is included. A Jib Arm crane is often used to elevate the camera as high as possible. In many cases, it is both faster and easier to simply raise the entire Jib, rather than extend the boom reach to achieve maximum height. 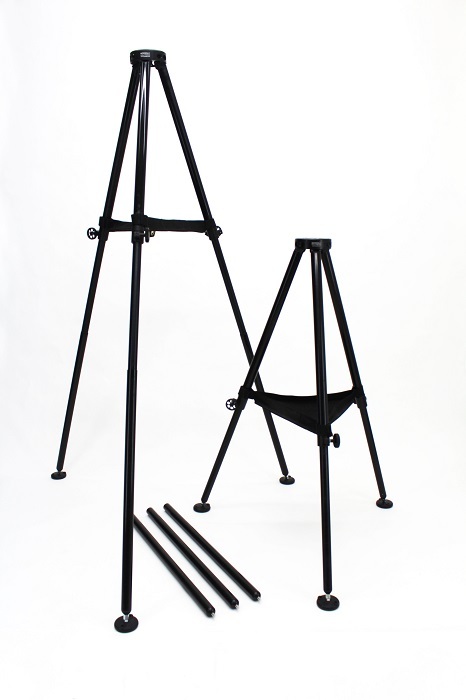 Designed exclusively for the MICRODOLLY Jib Tripod, these sturdy Extension Legs screw on and elevate the standard Tripod from four feet (1.2m) to a maximum height of six feet three inches (1.9m). 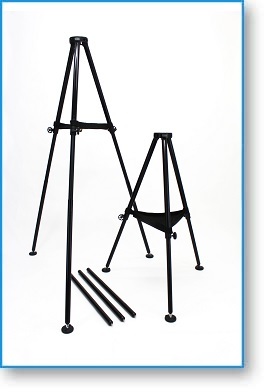 The Tripod footprint is increased to 48 inches (1.2m) between legs and the heavy-duty Tripod leg footpad may be reattached for additional stability. 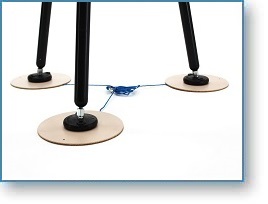 It is important to note that the Tripod will still support 300 pounds (135kg) safely, with leg extensions attached. Originally designed to work with the MICRODOLLY Tripod, these clever universal mounting brackets will safely attach most professional Tripods to almost any surface. 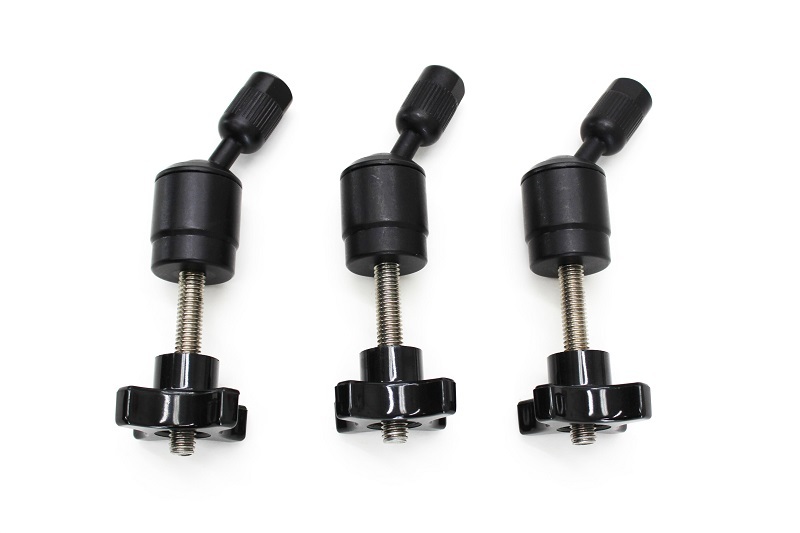 Sold as a set of three, these brackets are ideal to mount your Tripod to the roof rack of a van or scaffold platform. Made to fit a 3/8" x 16 threaded Tripod spike. This clever set of Pads is designed to disperse the weight of your tripod and provide more support on soft surfaces such as grass, sand or snow. Made of durable plastic, the reverse side of each Pad is covered with cork and can be used to protect the floor or surface under the tripod. Set includes three Pads tied together with nylon line along with spikes to anchor the Pads when used on the ground. A carrying pouch is included. The Cup Adapter Kit will allow a wide range of Pan/Tilt heads to be mounted to the MICRODOLLY Pro Line of Jibs, Dollies and Mounts. The Kit comes with a 100mm Cup and includes a 75mm and 150mm Cup Insert. It will attach easily to the Hi-Hat, Jib, Standard Tripod or Baby Tripod. It will also attach to any MICRODOLLY Camera Plate Accessory. Made of sturdy structural-grade aircraft aluminum all parts are military-spec hard-anodized for long wear.